It appears news of Swan Lake's upcoming Enemy Mine album is coming as a bit of a double-edged sword, so much so in fact that it's now led to an online petition. While fans earlier this month got the good word that the group's second album would be out on March 24 via Jagjaguwar, the album's press release also came with a bit of bad news: the BC super trio would not be touring in support of the record, but "is easily swayed by gold doubloons and/or enthusiastic mobs." And here's where the petition comes in, with fans taking that "enthusiastic mobs" bit very literally and starting gather signatures in hopes of getting the band to play live. We the fans of Swan Lake can no longer remain silent. This petition is our plea to the band, please consider touring! Your fans need you to come to their towns and bestow apon [sic] them the great gift of live music. Soon your second record Enemy Mine will be released and now is the time for action. We implore you to truly consider touring to support the new record. Your fans need you! It has been stated that in regards to touring, you would be easily swayed with gold dabloons and/or enthusiastic mobs. We currently are all out of dabloons, so hopefully our enthusiasm will suffice. 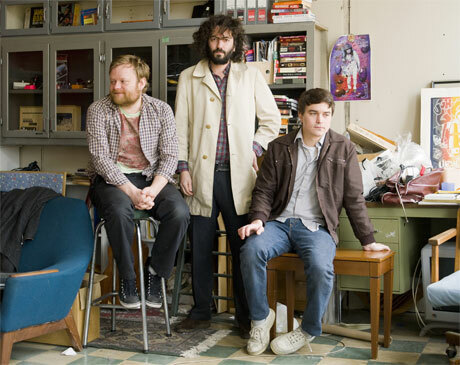 If you too would like to see ol' Dan Bejar (Destroyer), Carey Mercer (Frog Eyes) and Spencer Krug (Wolf Parade/Sunset Rubdown) finally tour as Swan Lake, you can sign the petition here.